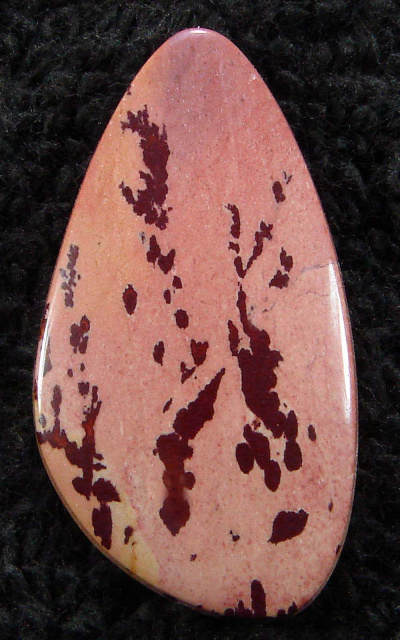 Owyhee Mountain Dendritic Jasper is our newest find. 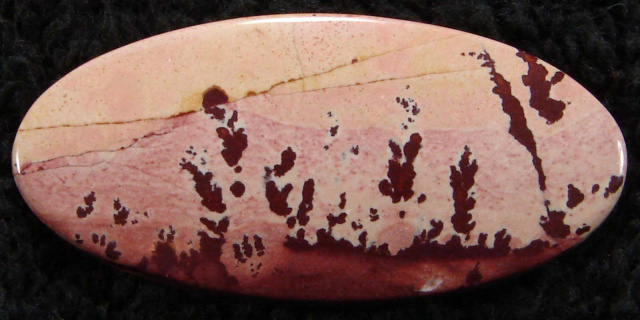 From the Owyhee Mountains of eastern Oregon, this material displays gorgeous dark red dendrites in cream, ivory, orange jasper. 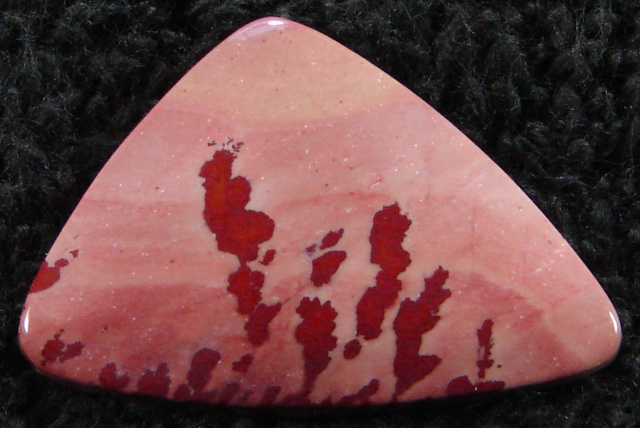 It is reminiscent of the old Apache Ryholite or Red Flower Jasper. 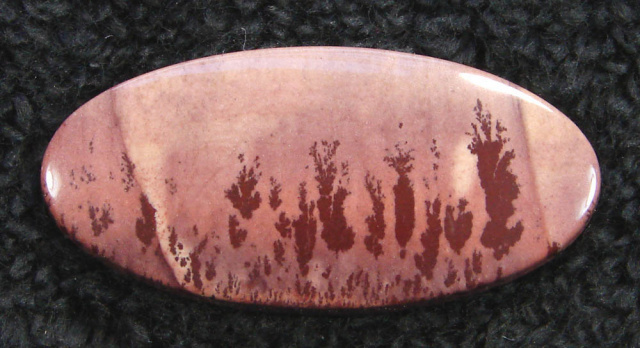 It is a hard jasper that takes a nice soft gloss polish.